Drs. Login, Bane, Feldman and Ford are your experienced Brookline, MA dentists. Call our office today to schedule your first appointment! 5 out of 5 based on 14 user reviews. 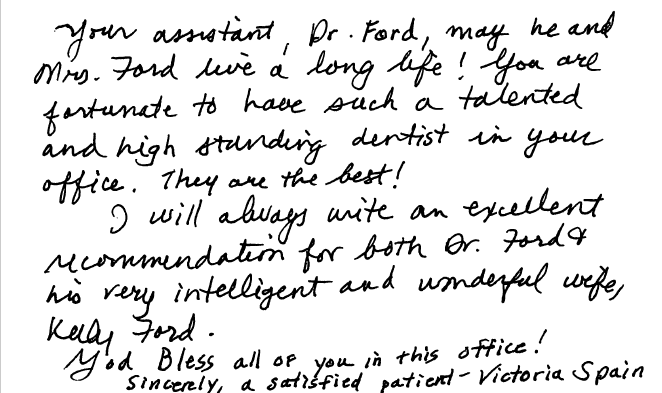 I heartily recommend Dr. Login to anyone with persistent dental problems. I first saw Dr. Login in 2009. At that time I had excessive clenching that was a constant annoyance. It was the first thing I noticed when I woke in the AM the last thing I noticed when going to sleep. The trouble started in 2005, when a dentist (who will remain unnamed) unbalanced my bite while installing some crowns. He was unable to fix the problem and subsequent dentists were unable to give me relief. The clenching eventually caused a broken bridge and a cracked tooth. Dr. Login took the time to really assess my condition and we tried a few temporary fixes to find what would work best for me. Eventually, he did extensive work fixing several teeth that had been damaged over time. I was very impressed with his technical skill and with his willingness to take the time necessary to really fix my issue. I continue to see him for regular maintenance. It is now seven years later and my bite has held its correction. 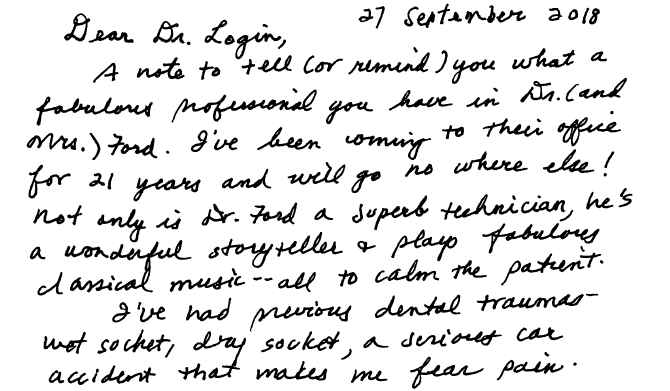 I am very grateful to Dr. Login, whose technical skill and caring attitude truly change my life for the better.